“Patients that come here, they will have perpetrated often horrendous crimes but they are also victims and it’s very easy to see somebody as either the perpetrator or the victim. It’s much more difficult to understand that somebody might be both.” Dr Amlan Basu, Clinical Director. Broadmoor, the most famous high secure hospital in the world, has allowed unprecedented access to television cameras for this new two-part ITV documentary. For the first time in its 150 year history, the viewing public will see the innermost parts of this iconic institution in this two part series. The hospital in Berkshire, often mistaken for a prison, helps treat severely mentally disordered patients many of whom are violent offenders. 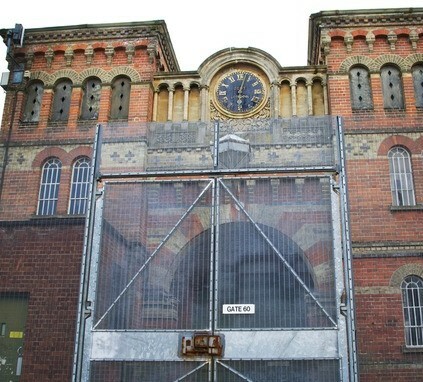 It’s best known for its high profile patients such as Charles Bronson, Ronnie Kray, Peter Sutcliffe and Kenneth Erskine. Filmed over the course of a year, with extensive access to the hospital, the programmes paint a picture of life inside Broadmoor for both staff and patients. It’s the first time that patients have been allowed to tell their stories themselves and cameras follow patients while they meet psychiatrists, open up about their violent backgrounds, visit the hospital shop and participate in workshops. In the first programme, cameras are present when one patient refuses medication and it has to be forcibly administered. Another patient with a history of violence on the intensive care ward refuses to return to his room and has to be physically restrained and moved by staff. In one interview, a patient reveals he has never been able to articulate the details of his violent offence and another man speaks about his frighteningly abusive childhood during a session with his psychiatrist. Interviews with staff reveal that on high dependency wards violent incidents occur every other day. For patients in Broadmoor there is no fixed term for their stay so although it is hard to be committed there, it is even harder to get out. 35% of men come from prison, 35% from the court system, 25% from medium secure psychiatric units and 5% from other high-secure hospitals. In the second programme, a patient describes his life as ‘satanic’ and shares details of his neglected and abusive childhood, and another patient who has spent over a decade in Broadmoor is considered finally well enough to leave. Cameras follow patients taking part in a group drugs counselling session and capture staff taking part in riot training. For many people, Broadmoor is seen as a place to house the country’s most violent criminals but one of its roles it to try to rehabilitate patients.